Seniors participate in the "Apply to College" Day in the high school commons. Apply to college. Seems like a simple task, but as many seniors have found out – sometimes it is difficult and even a bit frightening. 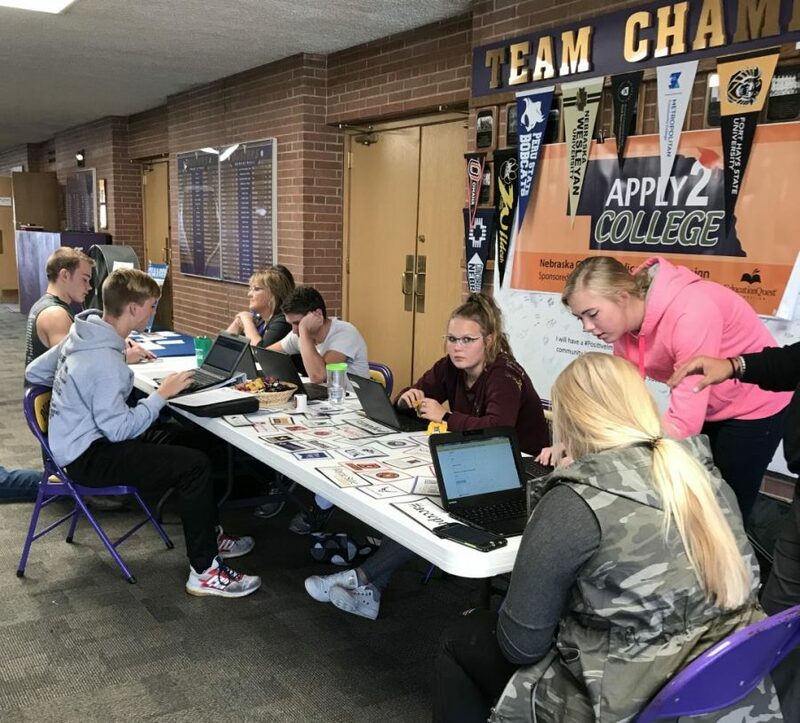 With the help of Mrs.Freburg, HHS Guidance Counselor, applying to college has been encouraged through her second annual “Apply2College” event. October 17 was devoted to helping the seniors fill out applications to colleges to help them be ready to move on to the next step in their life. She had representatives from UNL, Concordia and CCC here to help students and answer questions. The event was sponsored by Education Quest, a non-profit organization whose goal is to assist students with all phases of the process of applying to college. To commemorate the day, high school teachers wore clothing from their own college alma mater as a part of the day.